What used to be fun is such a bore. But “Whatever mom!” is loud and clear. Even if handed some serious cash. In a rage as they leave the car with their stuff. A teen’s mind is full of hormones in it. Those teen boys of mine. On the food in the cupboards they constantly dine! Xbox is important and it gets in the way. Is it just down the road? ‘Cause the constant worry, I’ll admit is a load. But I’m afraid I’ll erupt! So adulthood where are you? Please hurry up! Love it! And live it girl . With a 21 year old that still is not sure footed and completely on his own and a 16 year old turning 17 this month who thinks girls and games are the most important thing in life at this moment I hold on to hope. Hang in there the rewards are sure to come. Just thInk, we were there once driving our parents insane. LOL. Keep up the good work. cute!!! though foreboding towards my future lol!! Like I said on Facebook...I am impressed that you gave it a try. I can not write poetry or understand poetry. You did great though, and I understood it!! AWESOME! You gave such a good depiction. My mom is so going through that with my baby bro. My husband would give you 4 out of 4 Stars! He always complains my poetry doesn't rhyme - LOL.I have always heard teenage boys come back around when they turn 19. It did with my first son. My second one is coming around just in time:) That doesn't make it any easier though! I wanted a girl so so badly when I was pregnant and was so happy to get one. But I don't want to deal with teenage years! I remember how I treated my own mother! Augh! Very good! Not too long ago I was the young teenage girl in this poem, now... I have a 12 year old who is just getting started. I never thought the words "one day you'll thank me" would come out of my mouth but believe it or not it slips out almost on a daily basis. Great poem!! This was fantastic! LOVE it! Have you been spying on my life?! My son will be 15 in 10 days and he's racking up every teen cliche he can this week in preparation! I know he's not the 1st teen boy ever & not the last. But Lord mercy help me! Brilliant! Love your blog. I am a new follower from Bloggy Moms! You are gifted writer...can't wait to see what is next. 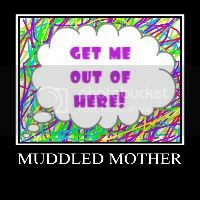 Thank you for your email...I'm just now venturing into my profile on Bloggy Moms. I'm now following you.